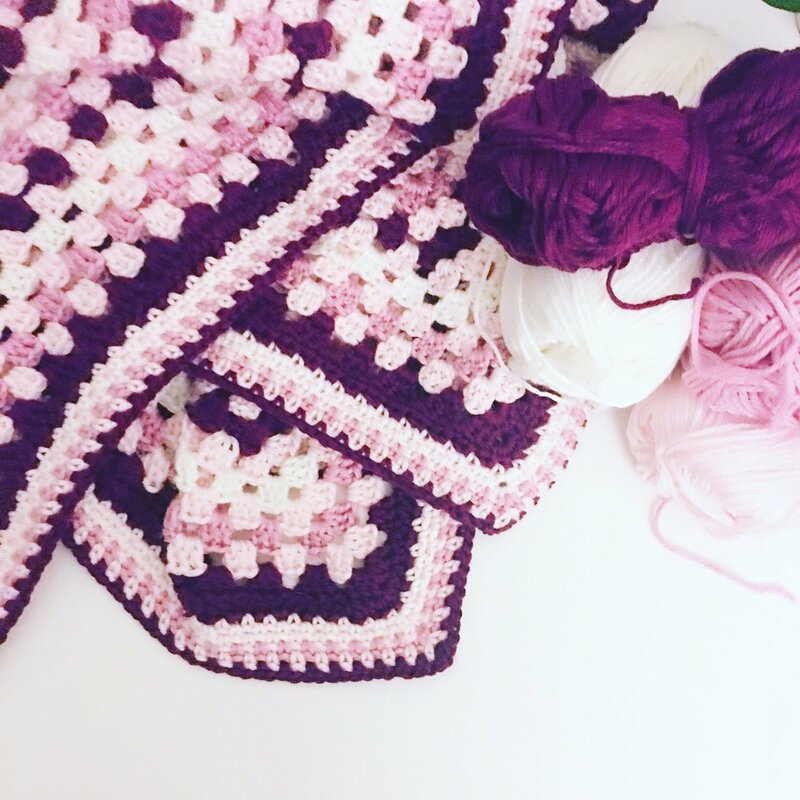 Who doesn't love a grannie square blanket?? This is a free and totally adaptable blanket for any sze grannie square. Pattern includes US and UK terms. Design is in different shades of pink with a white as well, but you can make it your own style with any colour combination! Yarn used is Knit Picks Mighty Stitch. Chain stitches and slip stitch also used. needle to weave in the ends.